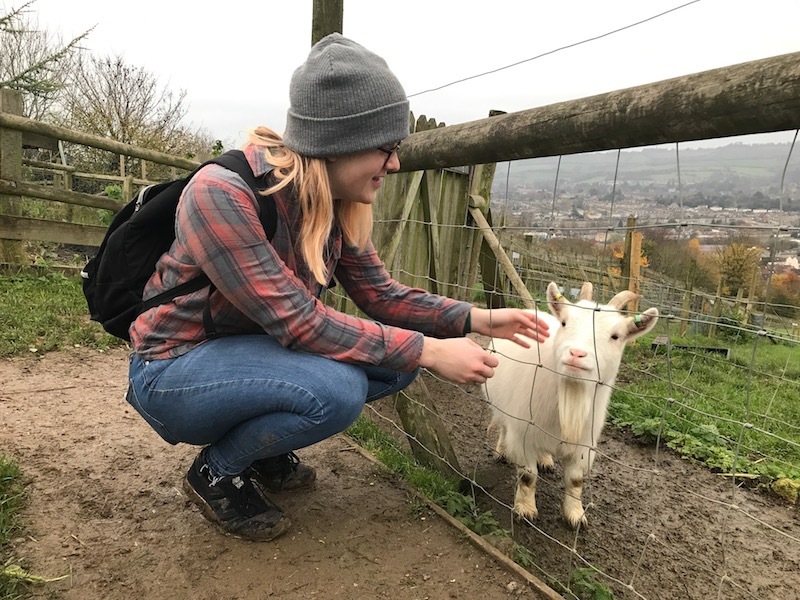 In these series of blog posts we catch up with different people from around the farm to find out how they spend their time at Bath City Farm. “I’ve always grown up around animals, and love our two dogs Mary and Pippin, yes as in Star Wars. So when I saw the poster at Bath College advertising the Animal Care Course at Bath City Farm, I was naturally very interested. My boyfriend thought it would be a good idea to get me out of the house. I like to be around animals and thought it would be really useful to learn how to care for animals and look after them properly. My favourite animals at the farm are the Pgymy Goats, because they are funny and also very cute! When I am older I would like to have my own goats to look after. I’ve learnt lots on the course so far, for example I didn’t know Chicken’s originated from forest areas and even the jungle. The course is really hands-on and and I’m my happiest when covered in mud. Some of the animals, like the pig’s can seem intimidating at first especially when close to them but you can’t show your scared as they get scared too. If you’re interested in enrolling on a course at the farm, check out the latest courses on our What’s on page.